NEW FIRE PREVENTION Facebook Page now available. Please check the new facebook page – follow this important page for future updates, share thoughts, add pictures! Jan. 23, 2019 Wednesday 7 pm at the same location as our annual meeting. Please note: this is a NEW meeting and does not replace the annual Alpine Acres Association Meeting. New updates will be posted for the 2018 year. Ken Ludwig announced to the association during the annual meeting on April 16, 2018 that the projection for the new season looks grave due to the lack of snow pack. More information to follow and attending the BBQ on June 30th will provide more insights. 1. Setting, building, maintaining, attending or using open fires of any kind, except within the facilities designated for them in improved campgrounds, picnic areas or home sites where running water is present. 2. Smoking, except within an enclosed vehicle, trailer or building, a developed recreation site or while stopping in an area that is paved and free from dry vegetation. 3. Discharging or using any kind of fireworks, tracer ammunition or other pyrotechnic devices including exploding targets. 4. Cutting, welding or grinding metal in areas of dry vegetation. 5. Operating a motorcycle, chainsaw, ATV or other small internal combustion engine without an approved and working spark arrestor. Any of the above acts is a violation of state law and punishable by up to six months in jail and a fine of up to $1,000. 1. Persons with a permit or waiver specifically authorizing a specified act at a specific location. 2. Any on-duty firefighter in the performance of an official duty. Area Description: All unincorporated private and all state lands within Summit County. The link below provides fire insurance information to those of our cabin owners who are current or ex-military and may be having difficulty getting coverage or are looking for lower pricing. That may be a small group but it’s worth letting our Association members know. Utah was just added to the (short) list of states whose FireWise participation has warranted some better deals. Please post this on the website and let anyone you know who might be interested. Hope winter is treating us all well, surely isn’t much fire danger right now. Please consider this new checklist to be firewise to protect you cabin! If clicking the link doesn’t work, please copy and paste the link into your browser. Class 1- No restriction- open fires (camp fires, warming fires, brush piles, etc) allowed within rules of common sense (clear the ground around, no overhanging vegetation, have suppression equipment (shovel, rake, water bucket,etc) on hand. Class 2- No open fires- Fires are allowed within approved containment structures in campgrounds, picnic grounds and permanently improved places of habitation, again within rules of common sense. Class 3- No outside fires of any type. I’ve photocopied an excerpt from the Utahfireinfo webpage for your reference. There’s a very informative video on the site as well. We have the forest service crew coming this Tuesday, July 26, 2016. We will be meeting at the fire shed at 8 am. please see attached map of piles to be chipped. Please see the most recent newsletter for Firewise Council. Please see the In-Kind Tracking form to log all your hard work. Please email these to any board member. This information is very helpful to identify the type of trees being attacked within our association area. 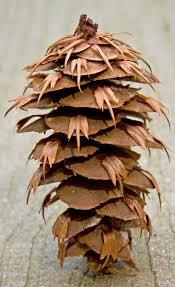 Engleman Spruce. The easiest way to identify the two is from the cones. 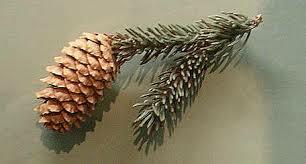 The first picture is a spruce cone and the second is the Fir cone. Currently, Spruce beetle is attacking trees within the community. This tree can be sprayed but the tree can not be located within 100′ of running water. There is some Douglas-fir beetle activity further down the canyon but given the low densities within Alpine Acres I do not foresee it being as big of a problem as the spruce. About a month ago myself and our Forest Health Coordinator Colleen Keyes visited the area with Jim and identified several spruce trees which had been attacked earlier this year. The trees attacked this year will start turning color next Julyish. Hope this helps and let me know if you have further questions. During my visit I also noticed some spruce beetle activity. Alpine Acres has two different types of spruce. Engelmann and Blue Spruce. The spruce beetle (Dendroctonus rufipennis) prefers the Engelmann spruce over the Blue. There are more blue spruce in Alpine Acres than Engelmann. Spraying the trees is an option to help prevent mortality but trees within 75 feet of running water cannot be treated. If treatment occurs it should be done in the fall as the spruce beetle flies early in the spring which would lead to access issues due to snow on the roads. Lodgepole pine needle cast mostly impacts sapling to pole sized trees, but when large stands of smaller trees are present it can cause damage over a wide area. The disease rarely kills large trees, but in some locations, the defoliation has been persisting for up to 3 or 4 years, a condition which may result in mortality of some trees particularly if damage is again present in 2016, particularly in the smaller size classes. 1. The fungi infect needles, which die early, are retained on the tree for a variable amount of time, and are cast (early needle drop) the following summer or fall. 2. The disease cycle (See Figure 5, Appendix) usually takes one year, but can in some cases take multiple years. 3. Most of the pathogens have similar morphological features. 4. They usually require free moisture in the form of mist, fog, or rain on the foliage to cause infection. Therefore, infection is usually more severe in moist areas. 5. Fruiting bodies of the fungi involved develop on the needles and mature in time to be dispersed when the next generation of needles is susceptible. Alpine Acres is celebrating its 6th year of participation in the NFPA’s FIREWISE COMMUNITIES USA program, a voluntary initiative to protect local residents, their property and natural resources from wildfires. We are among a group of ten communities in the entire state of Utah. Since we earned the distinction as an official Firewise Community, local leaders, emergency responders and individual homeowners have come together to make significant advances in making our community safer from wildfire. Alpine Acres became a Firewise Community in 2010. Since then the community created and executed a variety of activities to help create the best wildfire prevention plan for the community. “Because wildfires are burning hotter and faster than ever before, it’s more important than ever to take safety steps now,” said Bob Sluder, AA Fire Council Chairman. “Wildfires will happen and we want to be as ready as possible to prevent damage to our community’s buildings, resources and most importantly, our residents, their families and guests. “We are particularly proud when a community reaches an anniversary milestone like Alpine Acres” said Michele Steinberg, manager of the NFPA Firewise Communities program. “Your dedicated fire and safety professionals and motivated residents have truly helped minimize wildfire risk factors, and their hard work surely has paid off. The Alpine Acres Board and the Fire Council want to thank our Association homeowners for their past efforts and want to strongly encourage you to continue those efforts (or if you haven’t already started, to commence a wildfire protection strategy for you, your family and your treasured property).We will be announcing the schedule for our chipping as soon as we can coordinate with the county. In the meantime, let’s see those slash piles continue to grow alongside our roadways, it’s a great testament to the work you all are doing. We are here to assist you and to work side by side with you to do all we can as we face the ever-increasing threat of wildfire in the Upper Weber Canyon. Thanks Bob you do a great service for Alpine Acres. It’s a great thing your doing for AA Bob. I’m excited to help out!